The cost of mortgage origination hit an all-time high back in 2013 and 2014 but now, it is hitting an all-new high all over again. Lenders have been continuously struggling ever since the inception of the Dodd-Frank Act back in 2014 and the struggle continues even now as lenders are reporting negative profits in the current fiscal year. During the Mortgage Bankers Association's (MBA's) Meet, it was predicted that the lenders will face a negative profit in the first quarter of 2018, and the prediction indeed was correct. Independent banks and other mortgage subsidiaries reported a loss of $118 per loan origination in the first quarter of 2018 as compared to a profit of $237 in the last quarter of 2017. What's the Current Situation of Mortgage Origination Costs? The reducing volumes made the production profitability to plunge below the break-even line. This is only the second time this has happened ever since the inception of the MBA industry analysis report back in the year 2008. In spite of the increase in production revenues per loan in the first quarter of 2018, the production costs increased due to the reducing volumes. The only other quarter when the lenders faced a negative profit was back in the first quarter of 2014 when they failed to cope with the compliance costs due to the recently passed Dodd-Frank reform. What Does the Future Hold for Mortgage Origination? Right throughout the last decade, the average mortgage origination cost has been at an average of $ 6,224 per loan. With the constantly increasing competition in the market, the productivity decreased from 2 loans originated per employee per month to 1.9 loans in the first quarter. Mortgage interest rates continue to play a significant role in determining the profit margins of lenders. The interest rates rise and refinances are falling at a rapid rate. This is making the lenders even more vulnerable to changes in seasons as the home-buying trends recede in the fall and winter months. So, What Solution Can Lenders Expect? When you to go to think of a solution for lenders in this matter, there isn't a clear solution as of now. The Mortgage Bankers Association expects the lenders to display a profit for the full year 2018 and the increased change in seasonality will continue to be a great challenge in the coming year. Another solution suggested to the lenders to the lenders was to hire employees in a seasonal manner but as of now, there is no real solution. Most of the lenders are running their business with the hope that utilizing digital mortgage will help them reduce the costs as the competition in the market rises. Even the large lending organizations are struggling with these challenges. Looking at the trends in the mortgage industry, the best solution for lenders would be to outsource their processes to an experienced mortgage support service provider. Outsource2india has been a leading provider of quality mortgage services in India and can play a significant role in helping you overcome these challenges. 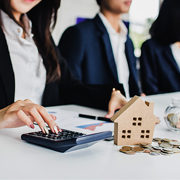 Our team comprises some of the skilled and experienced mortgage industry experts who are trained to work with your in-house team to help you plan and strategize business processes and overcome these market situations. We have the required expertise and skills to provide a series of mortgage services including pre-processing support, mortgage processing support, mortgage closing support, post-closing support, appraisal support, title support, underwriting support, FHA home loan support, etc. If you are having a similar requirement, then feel free to get in touch with us today!